Ubisoft have today announced their new intellectual property, developed exclusively for Wii U. 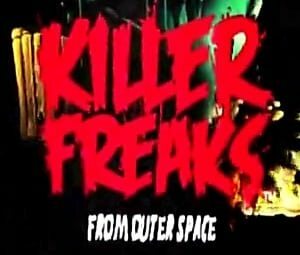 ‘Killer Freaks from Outer Space’ is currently in development at Ubisoft Montpelier, and is described as being a revolutionary new first-person shooter that will release alongside the launch of the Wii U in 2012. Within the game, Earth has been invaded by vicious and insane hordes of Killer Freaks from Outer Space. As one of the last survivors of the planet, the player is tasked with stalking the Killer Freaks across the world as you fight to decide who will rule the earth.